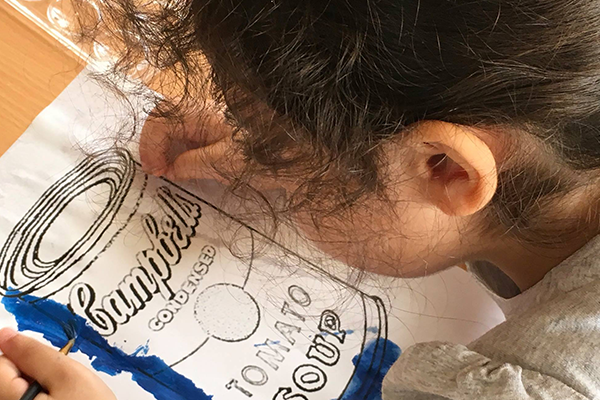 This Spring, Inspire Children's Nursery welcomed the Mini Master’s Art Camp, influenced by master artists from around the world. Little budding artists had immense fun exploring, learning and investigating during daily multi-arts and design workshops, covering expressive visual art, 3D design and wearable art. Apart from interactive hands-on workshops, children enjoyed investigative art-based story telling and puppetry sessions as well as music, movement and dance classes all themed around the chosen artist of the day. From Warhol’s pop-art themed screen prints, Murakami’s bright colorful flowers to Van Gogh’s iconic sunflowers art, children drew inspiration from modern masters, and the camp culminated in a colorful expressive arts gallery and exhibition.